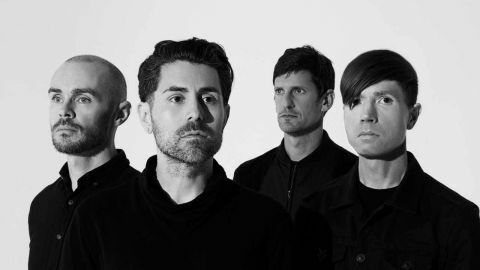 As with any AFI record from the past 10 years, the first hurdle to get over with The Blood Album is accepting that this just isn’t the same band that set the punk scene alight all those years ago. That said, the trio’s 10th full-length manages to feel current while ticking enough boxes to please fans from pretty much every era of their 24-year reign. Bathed in the 80s shimmer that was brought to the fore in 2009’s Crash Love but packing a little more crunch and a lot more song power, tracks like Dark Snow, Aurelia, Above The Bridge and Get Hurt are sumptuous, atmospheric heart-tuggers: delightfully, deceptively catchy and littered with synthy atmospherics. Those looking for something a little pacier and simplistic will want to kick every table in sight clean over at the rollocking Dumb Kids, while White Offerings could have been lifted straight off 2003 classic Sing The Sorrow, such is its urgency and power. In turn, the glittery ambience of Snow Cats and Feed From The Floor have their hearts in 2006’s Decemberunderground. Basically, this is AFI’s best collection of songs in a decade, and proof that you can take a glance back to move forwards.